When strawberries are in season, take advantage of this Easy Strawberries and Cream recipe, it’s such a light and refreshing dessert. After just one bowl of this, you’ll be smiling from ear to ear! Welcome back, Carrie from My Recipe Confession, here to share an easy strawberries and cream recipe, a refreshing way to enjoy strawberries, mm! Strawberries are out in full force around here so I couldn’t resist making a bowl of easy strawberries and cream. The best way to enjoy this dish is in the company of your closest friends and family. This way, they won’t judge you when you feel the need to lick your bowl clean. You’ll need a few ingredients on hand to make this light and airy dessert. It’s the perfect afternoon pick me up. Just wash and de-stem your berries then sprinkle with sugar, let them sit for 5 minutes and then toss. Next, add your whipping cream (or half and half) with vanilla and strawberry mixture then chill. So easy, right? Such a delightful dessert that takes just a few minutes to prepare. This recipe can’t get any easier. 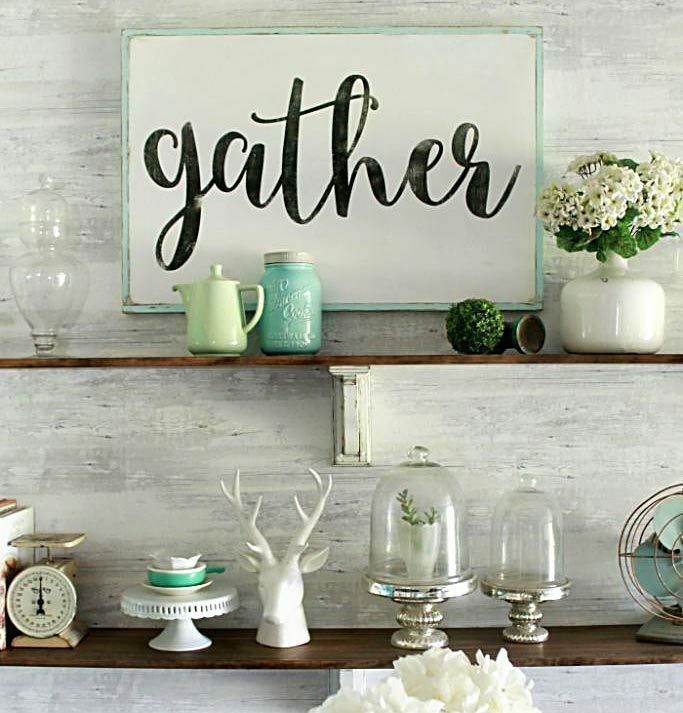 Pin it for later or print it for future reference to make again and again, yum! 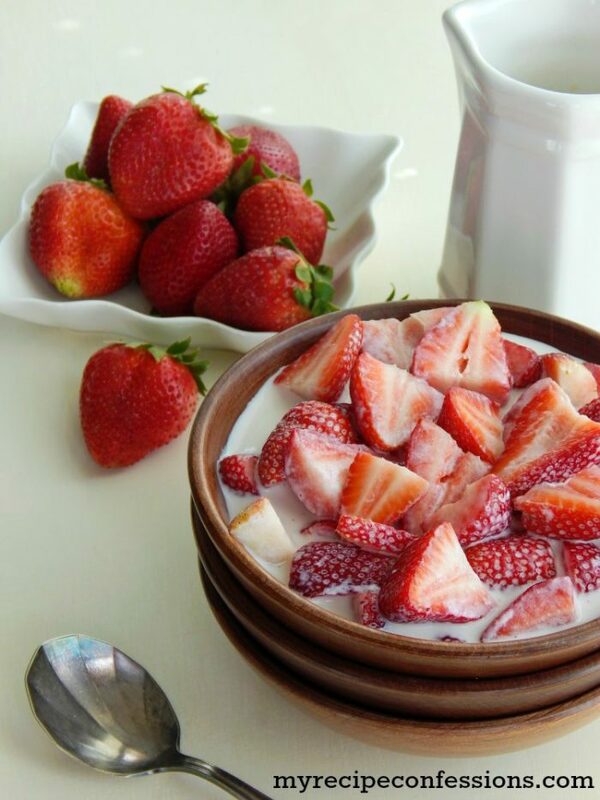 A refreshing way to enjoy strawberries! Slice strawberries and sprinkle sugar over the top and let them sit for 5 minutes. 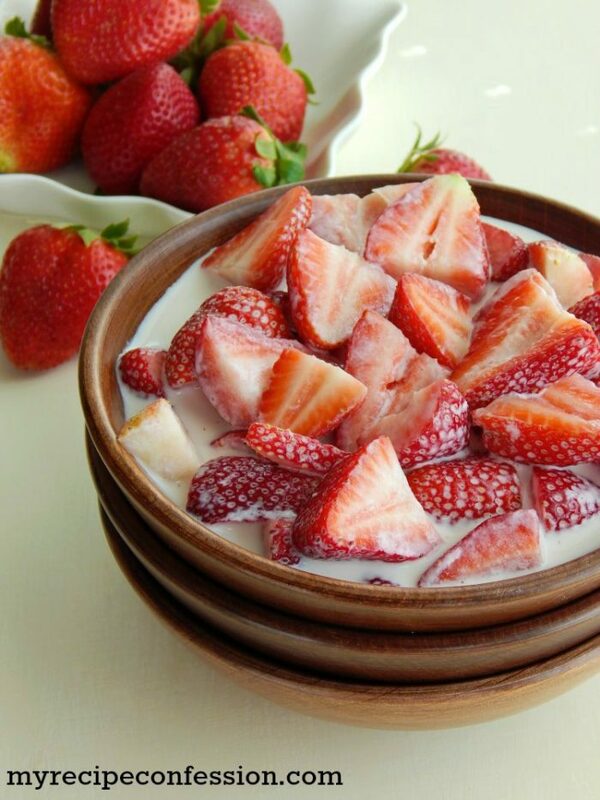 Add and mix the whipping cream or half and half and vanilla with the strawberries and chill in the fridge for at least 2 hours. I like my strawberries and cream best after they have been refrigerated overnight. Mmm! 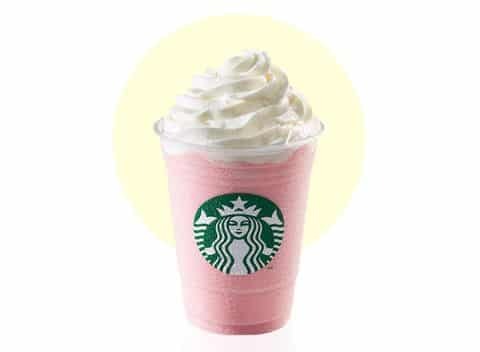 Did you know the popular Starbucks Strawberries and Cream Frappuccino is simply a blend of ice, milk and strawberry puree? 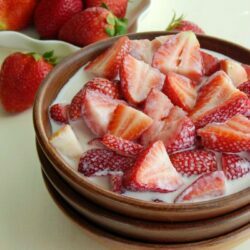 The puree is layered on top of a splash of strawberry puree then topped with vanilla whipped cream. To make your own, simply blend our recipe above, pour into a glass then top with whipped cream for your own homemade Starbucks Strawberries and Cream Frappuccino, yum! Oh yummy!! I love strawberries!! Didn’t specify fin it was vanilla extract or flavor.